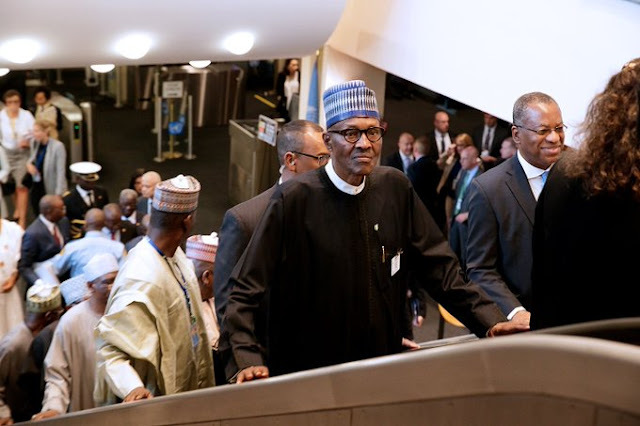 The Personal Assistant to President Muhammadu Buhari on Social Media, Lauretta Onochie, Wednesday, said that CNN commended Buhari for his wonderful speech at the 72 session of United Nations General Assembly, UNGA, in New York, noting that he spoke as President of Africa. Recall that Buhari, in paragraph six of his speech said, “In the last year, the international community came together to focus on the need for gender equality, youth empowerment, social inclusion, and the promotion of education, creativity and innovation. “The frontiers of good governance, democracy including holding free and fair elections, and enthronement of the rule of law are expanding everywhere, especially in Africa. Mr. President is currently at New York for the general debate of UNGA 72 session, while report has it that Vice president Yemi Osinbajo presides the Federal Executive meeting in Abuja.